Kim Isn't the Wealthiest Kardashian Anymore — Can You Guess Who Is? Who Is the Richest Kardashian? 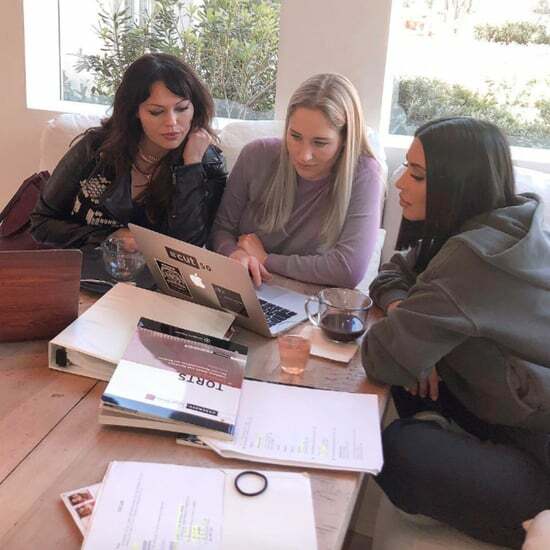 Despite all the ground that's covered on the family's long-running reality show, Keeping Up With the Kardashians, we don't exactly know everything there is to know about the family. But what we do know is that the famous family consists of some of the highest-paid celebs out there — and if you've ever wondered to yourself which of the siblings is taking home the largest paycheck, you might be surprised (or not) to know that the person who is bringing in the biggest bucks is the youngest of the crew. Yes, the richest member of the family happens to be Kylie Jenner, according to Elle Australia. That news isn't too surprising when you really take a moment to think of all the things Kylie has on her plate right now. On top of being able to work alongside her siblings on KUWTK — aka, one of the most successful reality shows on television right now — she also starred in her own docuseries this past Summer called Life of Kylie, in which she gave her fans a way more intimate look at what goes on in her life when she's not in the company of her entire family. And let us not forget that, in addition to being a reality star, Kylie is sitting on top of a pretty big empire with a largely successful cosmetics company that often sells out almost immediately after its products are stocked. (Remember when she broke Google on her launch day?) Because of all of these things, Kylie is said to have an estimated worth of $386 million. Kim Kardashian, who has her own successful cosmetics line and is arguably the most famous sibling, follows not-too-closely behind with a net worth of $175 million. Khloe, Kourtney, and Kendall are sitting at $40 million, $35 million, and $18 million, respectively, while Rob Kardashian comes in last with a value of $8 million. TBH, it really doesn't matter who's making the most money, because we'd honestly take any of these amounts.